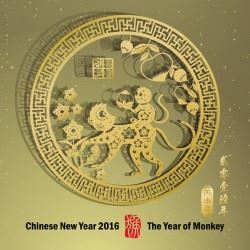 Come and join ACMAV to welcome in the Year of the Monkey! Our traditional Yum Cha meeting will be bigger than ever, and you are invited to the party. This is a fantastic chance to catch up with all your ACMAV friends and family. This year's Yum Cha will be held at China Bar Signature Burwood. Please RSVP by 18 Feb 2016 via email/fax/phone. Members are free of charge, as are children <4yo old.